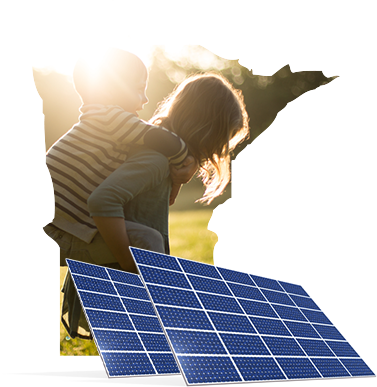 Join the 4,200 homes powered by solar. Minnesota is known as the Land of 10,000 Lakes. It’s also on its way to becoming the Land of 10,000 solar powered homes. In 2015 alone, Minnesota spent over $30 million installing solar capacity and currently has enough to power 4,200 homes. By 2020, the state aims to have an additional 1,164 megawatts. If you’re thinking about installing solar, you live in a great place for it. Minnesota ranks as the 39th most expensive state in the U.S. for grid-powered electricity (number one being the most expensive, and 50 the least). At $90 per month on average, these utility bills aren’t terrible. However, when you compare Minnesota’s 11 cent kilowatt price to the three to nine cents per kilowatt cost of solar, you can see that solar offers great savings opportunities. In order to find out how much solar can save you, use our cost calculator, or get in touch with a top solar company for a quote. If you buy solar panels, you can get a huge 30 percent tax credit from the federal government. Those who lease, finance, and have solar PPAs won’t be able to enjoy this incentive, but those who own solar panels can tap into savings in a big way. Some utility companies offer solar rebates and credits to customers. You can browse Minnesota solar incentives by city to find more cost savings near you. When your solar panels overproduce energy, you can sell it back to the utility companies. Again, this typically applies to those who own solar panels, but in some cases, solar companies pass these credits back onto lessees and people who finance. Out of the 143 solar companies in Minnesota, there is one that surpasses them all, Sunpower. This solar company has blazed a new trail for innovation and design with over 600 patents for solar technology and a world record-setting plane, the Solar Impulse 2. If that’s not enough, SunPower also has solar panels that generate 55 percent more energy than traditional panels. That means homeowners get more for less and can install solar panels that don’t overpower their rooflines. So if you’re considering going solar, SunPower is an ideal choice for people in Minnesota. Solar gardens are a burgeoning business in Minnesota, and allow customers to source solar power at an affordable price from an offsite location. In 2016, there were only 17 solar gardens, but that is projected to grow to 200 by 2017. This is good news for the state since it shows the interest and need for solar. However, the government is stepping in to monitor these companies, since they have long, complicated contracts that are currently unregulated. The state is pro solar in a lot of other ways—as long as continues to benefit customers and the environment. By 2020, Minnesota will require all utility companies to source 1.5 percent of electricity from solar sources. The state plans on installing 1,164 additional megawatts of solar capacity by 2020. About 2,000 people work for Minnesota’s 143 solar companies. Minnesota invested $31 million in solar installations in 2015, which is 106 percent more than the previous year. The Gopher State ranks 28th in the U.S. for the most solar capacity. 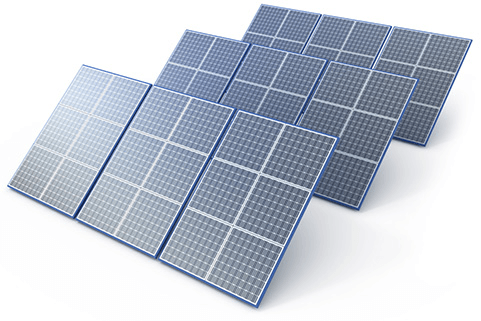 Photovoltaic cell prices dropped 66 percent since 2010, making solar panels more affordable. This group is in charge of regulating the utility industry. Check out the website to stay up to date on all things solar. Learn about energy programs in Minnesota, energy stats, and more. Contact your representatives, stay current with solar legislation, and see how other bills can impact your solar savings. Look up local utility credits for Minnesota homeowners. Compare Minnesota energy usage to the rest of the country, and learn about other energy stats.